Robin Smith on The 991.com buyers are in Soho today! Langa on Rare pressings from South Africa! Sylvia on Wednesday's Top Three Including Ultravox, Billie Joe Armstrong, Velvet Underground. Entertainment News in Australia on Australian exclusive KYLIE K25 boxset IN STOCK SOON! Ken Smith on Wednesday's Top Three! Including A U2 Anniversary Box Set, A Strangler's First Press And A Motorhead 90's Compilation! Steve on Wagner's Der Ring Des Nibelungen - A Stunning Addition To A Classical Collection! celia on Tuesday's Top Items! Including Another Beatles Red Vinyl Pressing, A Mint Pearl Jam 90's LP And A RARE Queen Japanese White Label 7"! vinyl stickers on Wednesday's Top Three! Including A Fantastic Japanese Pressing For Elvis, A Rare Kiss Box Set And A Russian Rolling Stones Release! Rare David Bowie Australian 7"
The 991.com blog has a new home! The 991.com blog has been moved to a new, shiny platform! Follow the latest news from both 991 and the music industry; we'll be posting more of it from now on. Get exclusive 'blog only' offers and discounts, follow our Facebook posts, Twitter feeds, Instagram pictures, Google+ posts, Pinterest pictures, Tumblr and more through one platform. 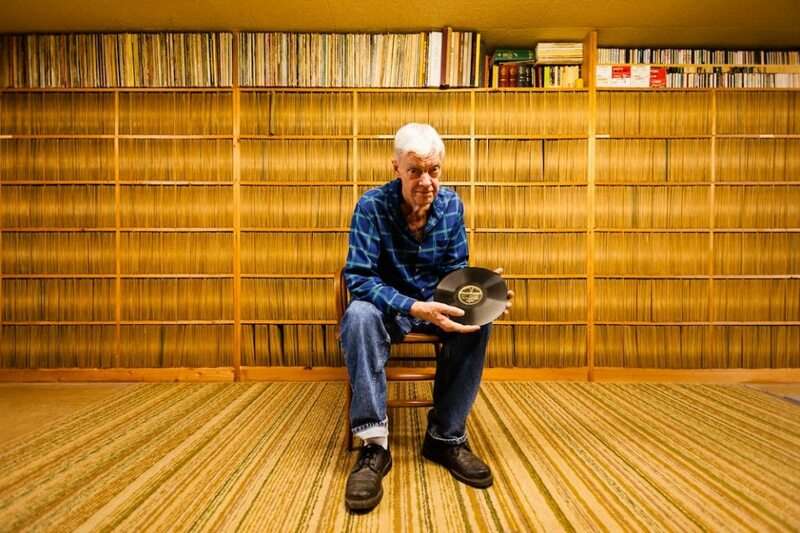 Joe Bussard sitting in his basement in Frederick, Maryland, with some of the rarest 78s in existence. The brown paper record jackets behind him are all uniformly discoloured in the middle as a result of Joe’s hands sorting and searching through them for the past 60 years. Photographer Eilon Paz left Israel in 2008 to try his luck in New York. “It was the worst time to try your luck. It was the beginning of the recession. 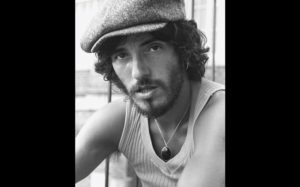 There were no jobs to be found so I just found myself in record stores spending my money on records and nothing much more than that,” he said. ...and finally, if you're feeling just a little record collection envy don't forget that's easily fixed by visiting 991.com where you can find an incredible range of cool vinyl, collectables and more! Keep your eyes (and ears) peeled for this upcoming US Punk documentary - featuring interviews with the American punk scenes key players, what you get is a sneaky peek into the vinyl record collections of artists like Jello Biafra, Mike Watt, Nick Oliveri, Chuck Dukowski and loads more - in other words lots of cool, nerdy stuff about your favourite US punksters record collections N-I-C-E! Breaking Fad Vinyl has been the music format that wouldn’t die for the best part of three decades. Not since Kenneth Williams quipped “Infamy! Infamy! They've all got it in for me!” has a death scene seemed so protracted. Now, however, it seems the format is officially in remission. 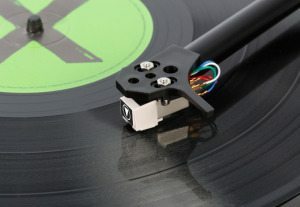 With renewed interest in pure stereo, stoked ironically by hi-res audio file formats, sales are soaring and manufacturers have been quick to capitalise with a new generation of digital friendly 12-inch disc spinners, aimed at the green fields between audiophile and nostalgia buff. The latest vinyl sales figures, released by the British Phonographic Industry, make for fascinating reading. 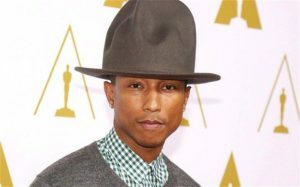 This year, UK album sales are on course to top the million mark for the first time since the heyday of Oasis and Blur. The BPI’s Lynne McDowell suggests that initiatives like Record Store Day andAmazon Autorip have all contributed to the growth. Apparently, even Listening Parties are now a thing. “In an increasingly-digitised world, it appears that music fans still crave a tangible product that gives them original artwork, high audio quality and purity of sound,” she says. At least two of those points are probably true. The biggest selling vinyl album of the year is currently Arctic Monkeys’ AM. 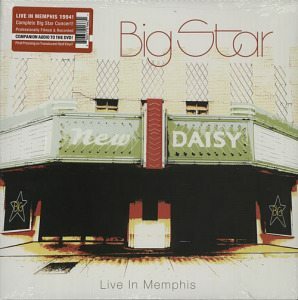 Other 12-inch biggies include Jack White’s Lazaretto, Oasis’ Definitely Maybe and the remastered titular Led Zeppelin. Of course, this should all be viewed in context. 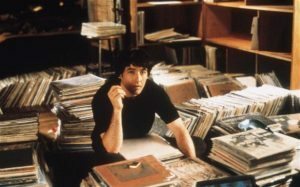 To become a vinyl bestseller, an album only need shift more than 1,000 copies, based on the Official Charts Company data. Our Xmas Sale starts today - You can save up to 75% on over 25,000 items! Today our Xmas sale went live and you can save up to 75% off rare Vinyl Records, Collectable CDs, vintage Posters, Music Memorabilia and so much more at 991.com now. Got a fixed amount to spend? No problem, just search by price. Collect by country? Look at what's grouped into each territory. Do you collect only paper goods? Vinyl or CD only? Want official industry sales awards to adorn your walls? Cassettes for your car hifi? Find it all here grouped by format. 25,000 items have been reduced so Happy Saving! Walt Disney Collectors Edition Vinyl Picture Discs - perfect for stocking fillers! Produced in very limited quantities, these fabulous Walt Disney picture discs produced this year make brilliant luxury "stocking filler" type gifts. For Disney lovers, Disney collectors or for children to keep as future collectables. We all covet them! If you sit entirely in the nostalgia camp though, we've got rare and original vinyl pressings of many iconic and memorable Disney films which will take you straight back to your childhood. Get a bit of Robert Plant Joy in your Christmas Stocking! 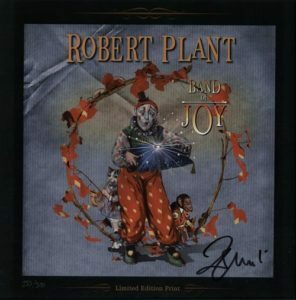 Band Of Joy - this is a rare Autographed 2010 UK strictly limited edition 12" x 12" art print featuring the album artwork with a one inch black border. This has been hand numbered in silver pen in the bottom left border and boldly signed by Robert Plant in a black marker pen. A fabulous item which is ideal for framing and would make for a very cool Christmas present with future investment potential! The final wave of BBC memorabilia from Television Centre has been sold off at auction, raising thousands of pounds. Studio signs and backdrops were included in the auction, alongside large items such as industrial washing machines and a cherry-picker lorry. Television Centre was built in 1960. The BBC sold it to developers in 2012 and moved operations to other buildings. Among the lots sold were a vintage microphone and a test card. 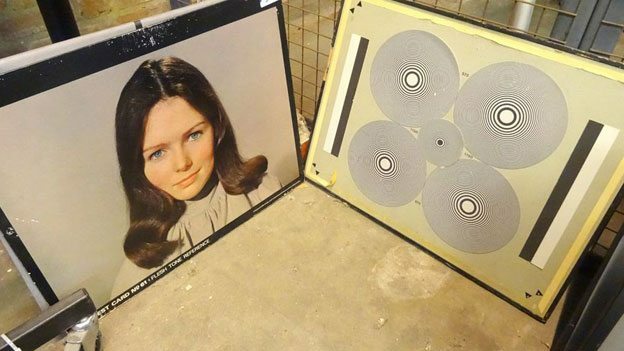 Items from Studio 8 - which housed classic shows such as Fawlty Towers and Monty Python's Flying Circus - attracted a number of bids, with one clock fetching £780, and the "Studio 8" sign going for £478. A collection of black-and-white portraits taken by David Bailey of stars including Michael Caine and Mick Jagger ended with bidding reaching £1,264. Here at Eil Towers we can't think of a better line-up for a gig, can you? Pink Floyd's "Super all action official music programme for boys & girls!" We've this extremely rare original 1974 UK 16-page comic book style tour programme with a superb colour cover. Apart from a small amount of the front cover missing in the bottom right corner & a small split in the top left, this copy is in excellent condition with just a few signs of age, as you would expect from an item of this age. Amazingly this copy also comes with an original complete ticket, not just a stub, for the show on the 4th November 1974 at Usher Hall in Edinburgh. This would make a magnificent addition to any self respecting Pink Floyd collection and a fabulous Christmas present, don't you think? What's on your wish list? 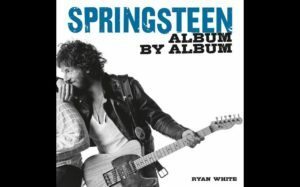 Coinciding with the 30th anniversary of Bruce Springsteen's most successful album, Born in the USA, Springsteen: Album by Album is a definitive guide to the rock legend's 17 studio albums and over 40 years in the industry. The book, written by Ryan White, contains many previously unpublished photographs – some of which are featured here. Happiness isn’t all it’s cracked up to be. At least according to Robert Fripp. 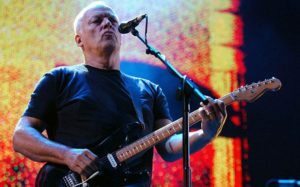 In the early part of 2012, having given up playing live altogether, he found himself in a curious position. “I began to be happy, personally happy,” he explains. 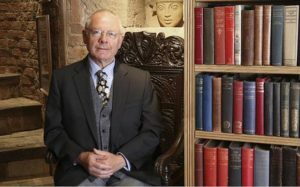 Fripp’s response was to try things he might not otherwise have done. Having more or less retired from public life, the first visible manifestation bordered on the perverse: an appearance on TV’s All Star Mr & Mrs, with wife Toyah Wilcox. The second was the revival of his band King Crimson. Founded in 1968, Crimson were pack leaders in what became known as progressive rock. The dizzying intensity of their recorded work – a dense fusion of freak-rock, jazz, ambient textures and neoclassical fugues – took the band into places that most others were simply incapable of reaching. 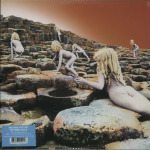 991.com has the most extensive selection of back catalogue material from Robert Fripp, King Crimson and more - find it here. At least that’s what every music fan, artist and producer was told in 1982 (and every year since), upon the release of a pioneering new technology known as the compact disc. For a long time, they were right: sales of records declined steadily after '82 as their smaller, shinier cousin moved in on the home music market. Vinyl, it seemed, was not long for this world. The same scrap-heap that held the gramophone, Betamax and the transistor radio beckoned. But then, years later, something happened. 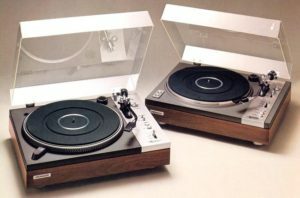 Whether through efforts made by musical purists, initiatives such as Record Store Day or the cachet of vinyl in the nostalgia (or even hipster) stakes, the sales tide began to turn once more. 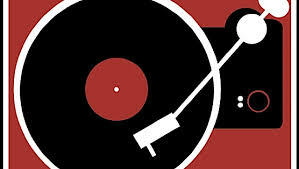 Here at 991.com, most of us still collect - and are unequivocably in love with - vinyl. We live and breath it, and we buy and sell it. Get in touch with us at 991.com whether you want to expand your collection or pass a once cherished collection on to a new home. Do you collect genuine, original pressings of these all time classic albums? You'll find them and more at 991.com here. '9 to 5': what kind of music are people listening to at work? Tell us what you're listening to! Ever wonder what songs are being piped through your colleagues' headphones? We've got the answer. If you hear your boss listening to classical music before a meeting, brace yourself. When people listen to music to get themselves in a certain mood for a meeting -- whether it’s a brainstorming session, a targets update or a performance review -- they choose pop music almost all the time, a new survey has found. The kind of music people listen to in the office has been shown to affect their output. A recent survey from the music licensing campaign MusicWorks, which found that nine out of 10 workers perform better when listening to music, also discovered that different genres of music are better tailored to certain tasks. The research recommended choosing pop music while working to deadlines and dance music while proof-reading or problem solving, for example. You can read the full article here by Lauren Davidson at the Telegraph. More importantly, here at 991.com, we'd love to know ... what are you listening to at work? 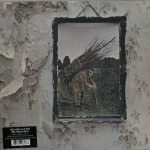 New 180gm Vinyl LP & Deluxe Edition releases from Led Zeppelin - the potential to be future collectables? 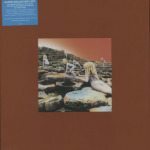 We've got the new 180gm Vinyl LP reissues in from Led Zeppelin plus the Deluxe Edition Box. 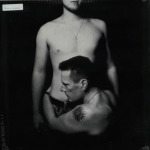 Super rare and original 1992 Beggars Banquet UK promotional only billboard poster for the reissue of the track. 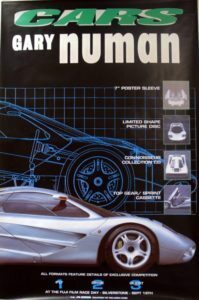 This stunning poster promotes the various formats as well as depicting the then new McLaren F1 Road Car which subsequently set the fastest time for any road car in 1998, and which supported a competition with Gary Numan at the Fuji Race Day at Silverstone. This example has evaded billboard use and remains glue and pinhole free, overall it remains excellent - staggering given its near 23 year age! 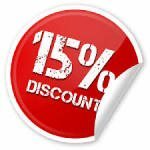 Just enter voucher code 9SX1510 at the checkout and the discount will be applied to your basket value. This code expires at midnight on Tuesday 21st October. See the latest arrivals here including not least some very rare tour and crew clothing and merchandise, original tour itineraries and vintage posters. And then there's the best in investment pieces to be found here at our Blue Chip store. Use the voucher code as many times as you like - there is no minimum spend!